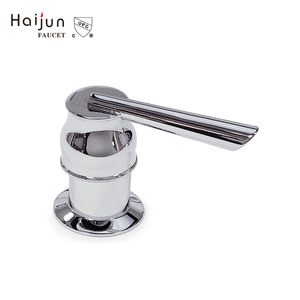 Wenzhou Haijun Sanitary Hardware Co., Ltd.
Shenzhen TDL Hygiene Co., Ltd.
Shenzhen Winlee Cleaning Co., Ltd.
We also have proffesional purchaser to help you with outsourcing for the particular goods. We can understand that trail order is necessary for buyers to see the quality and test market . But if the product have quality problem we will send you new one after you send us product damaged pictures within warranty peried. Ningbo Jieke Electrical Industry & Trade Co., Ltd. Delivery and payment S 1. Can you accept small order or trial order9 Yes, we can accept, please check with us for more details. 5. Can I get exclusive sales in my market9 Pl ease check with us for more details, maybe your market still possible to do exclusive sales. 7. Can you accept online trade Assurance order9 Yes, we accept, please check with us for more details. :w-601 Size: 20*6*18cm It will make your place more tidy and modern, beautiful Life comes from quality , hope our products can bring you a quality and convenient life. 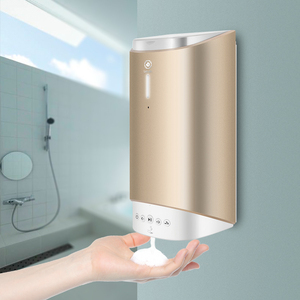 2016 chaoan caitang WESDA Bathroom accessories Stainless Steel 201 wall mounted Automatic liquid Soap Dispenser W405 1.Q:Where is WESDA factory9 A:Wesda stainless steel fty local in chaozhou of guangdong ,china. 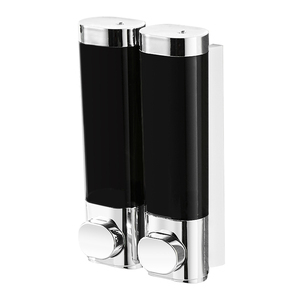 3.Q:When WESDA start production to make bathroom accessory9 A:Wesda factory start from 1992 so that our factory have many yeas experiences to make the good quality products. .
Xiamen Hangll Plumbing Co., Ltd.
Xuzhou Huihe International Trade Co., Ltd. 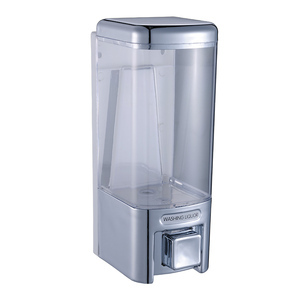 Both refillable inner bottle and disposable inner bottle can be used. We have domestic and foreign merchants cooperation experience. Step 3: Customer confirms the samples and places deposit for formal order. 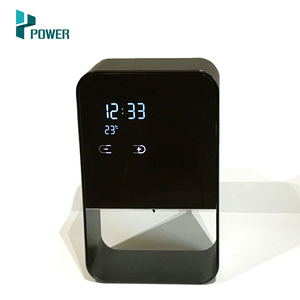 Ningbo Joyre Household Co., Ltd.
Shenzhen Tingreat Technology Co., Ltd.
Cixi JBO Imp. & Exp. 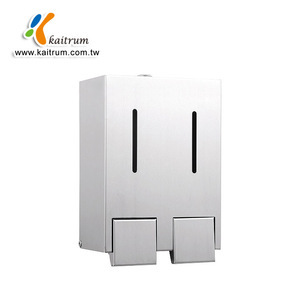 Co., Ltd.
Alibaba.com offers 52,343 soap dispenser products. 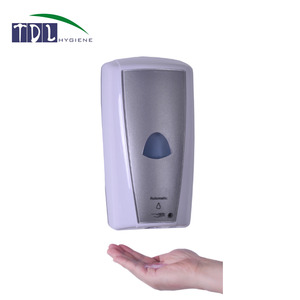 About 22% of these are liquid soap dispensers, 8% are bathroom sets, and 1% are liquid hand soap. 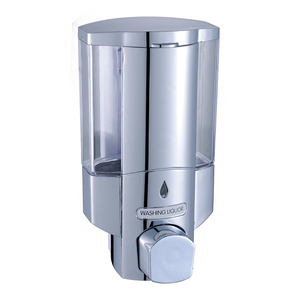 A wide variety of soap dispenser options are available to you, such as free samples, paid samples. 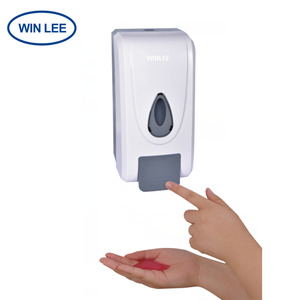 There are 51,318 soap dispenser suppliers, mainly located in Asia. 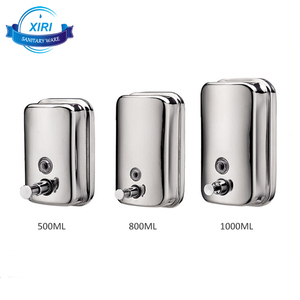 The top supplying countries are China (Mainland), Taiwan, and India, which supply 95%, 2%, and 1% of soap dispenser respectively. 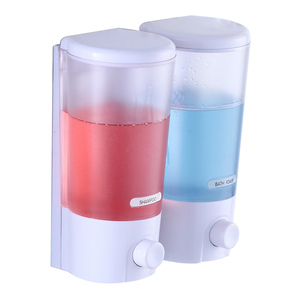 Soap dispenser products are most popular in North America, Western Europe, and Domestic Market. You can ensure product safety by selecting from certified suppliers, including 18,155 with ISO9001, 5,367 with Other, and 4,569 with ISO14001 certification.